Our team of compassionate and dedicated physicians and Nurse Practitioners are recognized for their commitment in providing the best possible pain management care for their patients. Our providers use state of the art technology in the only Medicare certified Surgery Center in the Inland Valley and they are consistently in pursuit to ensure they are providing the most up to date solutions in pain management. Our providers work in conjunction with local specialists such as chiropractors, physical therapists, and psychologists to reach the root cause of your pain and ensure long term results through effective advanced care plans. Thank you for choosing Innovative Pain Treatment Solutions and Surgery Center!We look forward to having you with us. Innovative Pain Treatment Solutions and Surgery Center provides the latest breakthroughs in pain management treatment to help our patients return to the activities they enjoy most as quickly and as safely as possible. Patients who choose Innovative Pain Treatment Solutions and Surgery Center as their pain management center benefit from the wide-ranging expertise of our providers, who perform advanced treatments to help patients effectively manage their pain without extensive surgery. In the event that surgery is the clinically appropriate treatment, our experienced providers are specialty-trained in minimally invasive procedures that spare healthy tissue, minimize scarring, and provide a streamlined recovery. Contact Innovative Pain Treatment Solutions and Surgery Center today at (951) 694-6367 to schedule an appointment. Looking for a doctor that specializes in pain management in Temecula? 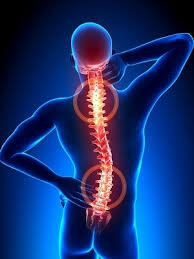 Innovative Pain Treatment Solutions is dedicated to helping patients live pain free.